By now, the great envelope disaster of 2017 has all but escaped our attentions, as the 24-hour news cycle has given us more things to be distracted, amused, and horrified by. Unless, of course, you’re Shirley MacLaine. 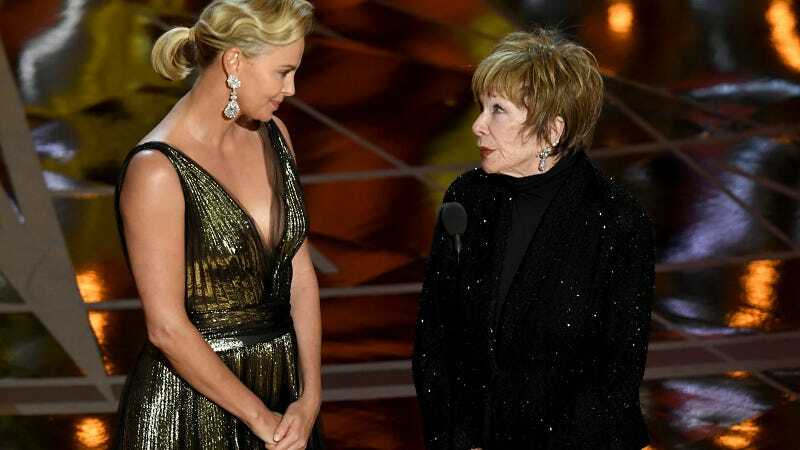 If you’re Shirley MacLaine, you’re still trembling at the thought, which—because you can’t stop thinking about it—means you’re trembling all the time. It was so difficult to watch Beatty calmly explain himself and appear pretty unaffected by the entire ordeal, in fact, that MacLaine called him “immediately after the show.” He did not answer (she assumes it’s because he was busy backstage, but I have a feeling it’s because he has her number in his phone as “SHIRL” surrounded by siren emojis), so she called his wife, Annette Bening, next. Picture this, for a moment. Shirley MacLaine, Hollywood icon and legendary scholar of metaphysics, sitting in the back of a nice car on her way home from the Dolby Theatre, fumbling with her phone while in a panic. She’s worried about her brother! She loves him! She just wants him to be OK! So when he doesn’t answer—he never answers anymore, does he?—she gets a little more panicked and calls Annette. Annette always answers. She’s a little curt, sure, but she answers. And answering is enough. It’s the polite thing to do. It’s a little weird that she didn’t attend the Oscars with her husband, sure, but you know what? None of her business! None of her business. She stays out of her brother’s business. Anyway, Annette answered the phone and MacLaine says the two of them “talked,” but refused to provide any additional details about the call. And why should she be expected to?! It was a private call. I’ll be right here when you do, Shirley. And I’ll always pick up.